BirdNote board member Adam Sedgley traveled from Seattle to the Oregon Coast in search of a Tundra Bean-Goose, a rare bird in North America. 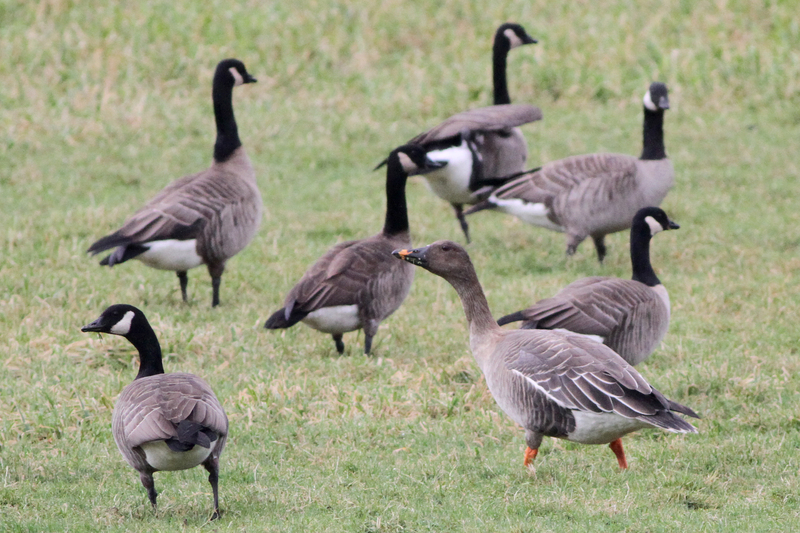 The goose had been observed near Nestucca Bay National Wildlife Refuge among a flock of native Canada Geese. The Tundra Bean-Goose would be a “life bird” for Adam. Did he find it? Listen now to find out! This is BirdNote, and I'm Adam Sedgley. "You looking for the goose?" "It's right here? All right, thank you." There it is. I can see it. Yes. Yes, yes, yes, yes, yes. Boom. Take that, birding gods. Ambient sounds and field recording by Adam Sedgley. 'Organ Grinder Swing' by Hudson/Parish/Mills, performed by Jimmy Smith. Plan Your Next Birding Trip!